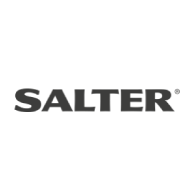 Get 15% off all Salter Kitchen Thermometers this Easter. With the extensive range of cooking thermometers, there is something to suit every need – from the fridge and oven to meat and confectionery. Whether you’re looking to perfect your Easter Sunday roast or prepare your own homemade chocolate treats, with our range of kitchen thermometers, you’re sure to have a cracking Easter! 1 Voucher code per transaction. Applies to Salter Kitchen Thermometers only.